Thomas Greenway was the premier of Manitoba during the Manitoba Schools controversy. 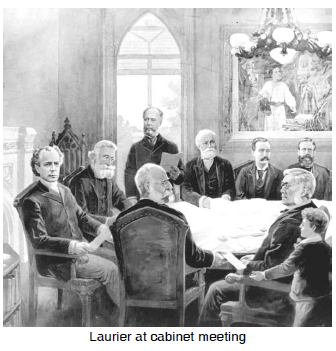 He was a Liberal like Laurier and soon after Laurier won the 1896 election, they reached a compromise over the question of French Catholic instruction in the schools. There would still be no publicly funded Catholic schools, but religious instruction would be allowed for a half hour at the end of each day. School boards would have to provide a Catholic teacher for every 25 Catholic students in rural districts and for every 40 Catholic students in the cities. When ten pupils in any school district spoke French, "or any language other than English," they would get bilingual instruction in that language as well as English. By putting French in the same category as "any other language," this compromise destroyed the fundamental equality of French and English which had existed before.